This cathedral engagement ring is set in quality 14 karat white gold and includes a unique filigree design on the side of the ring. 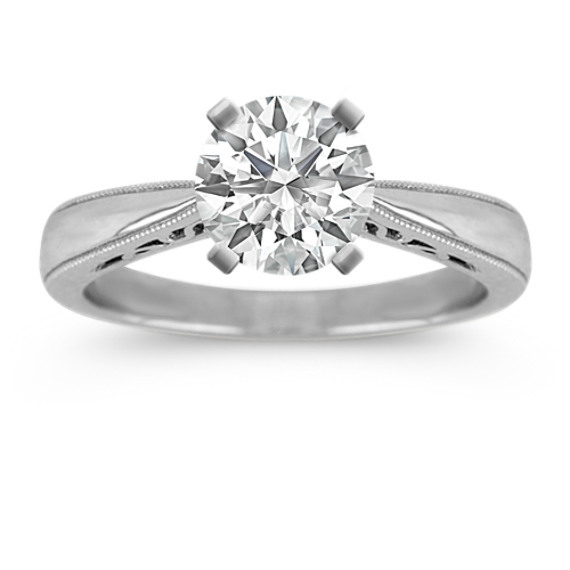 This 3mm wide ring awaits the center diamond of your choice to complete a magnificent look. I proposed with this ring and my fiancée loves it! My fiancé surprised me with this beautiful elegant ring on a vacation in the Caribbean and I couldn't be happier. We had done a little shopping for ring styles because he wanted an idea of what I liked. This one surpassed everything we had seen. I love the way it tapers in to show of the diamond.